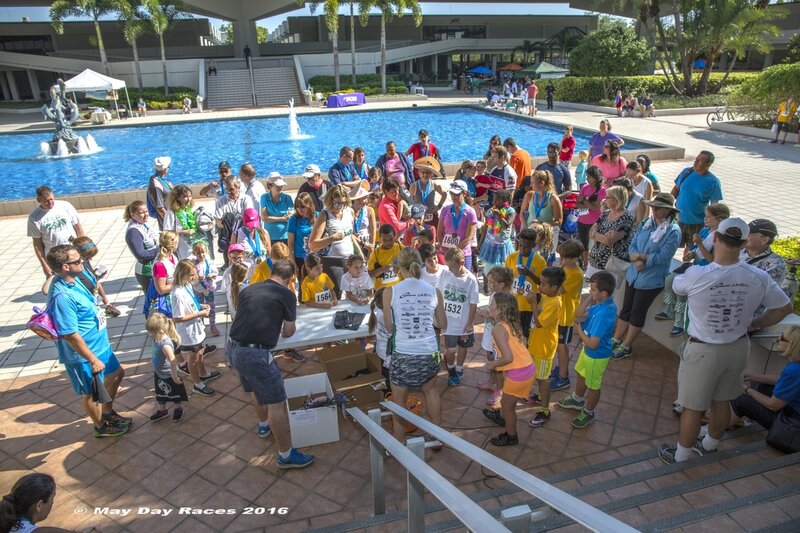 The second running of the May Day Races and Family Festival benefitted the Marina Skyway District and Pinellas County Fund A Classroom. 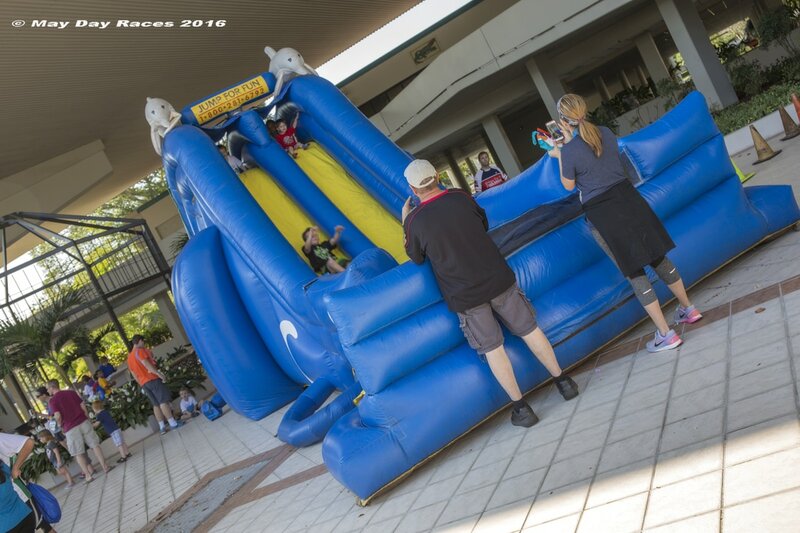 The races were hosted and sponsored by Ceridian, a human resources corporation in St. Petersburg. The 5K and 10K races were capped at 550 participants. 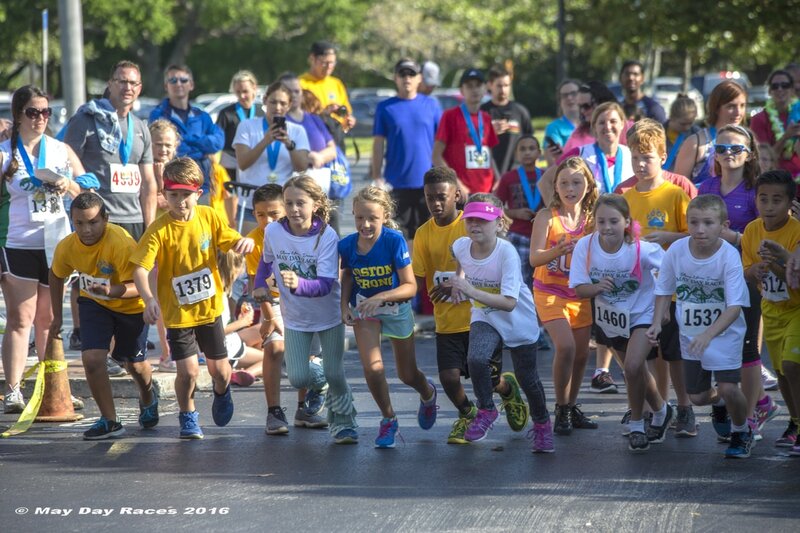 Race organizers added a Kids Dash for Cash sponsored by JABIL corporation. 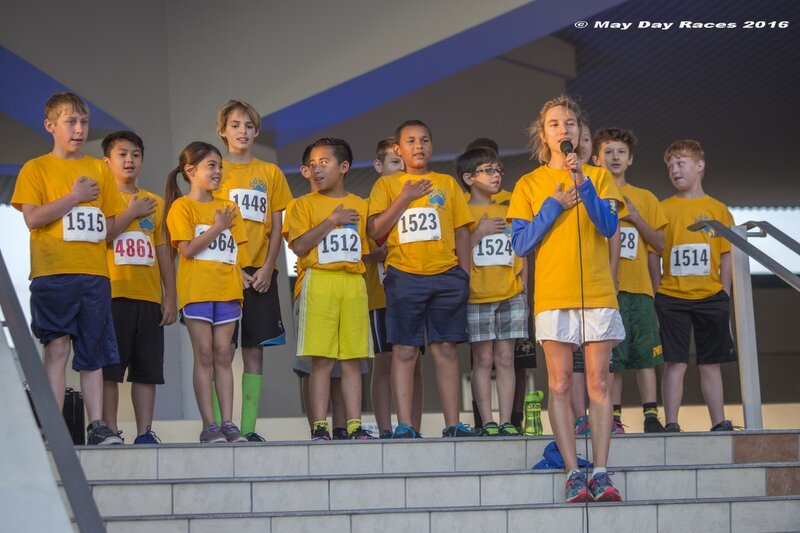 Entry for children 10 and under was free with an adult entry in the 5K or 10K. Everyone had to preregister to guarantee their race shirt, medal and goody bag. The dash distances varied according to age. ​Walkers and strollers were encouraged to participate this year, with a start time after the runners. Packet Pickup: Yes. 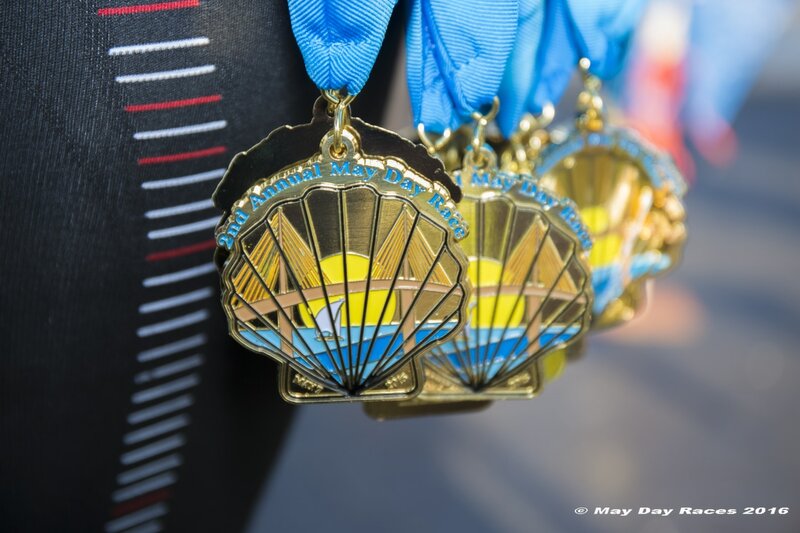 Packet pick up was available at two local locations, and on site race morning. No expo. 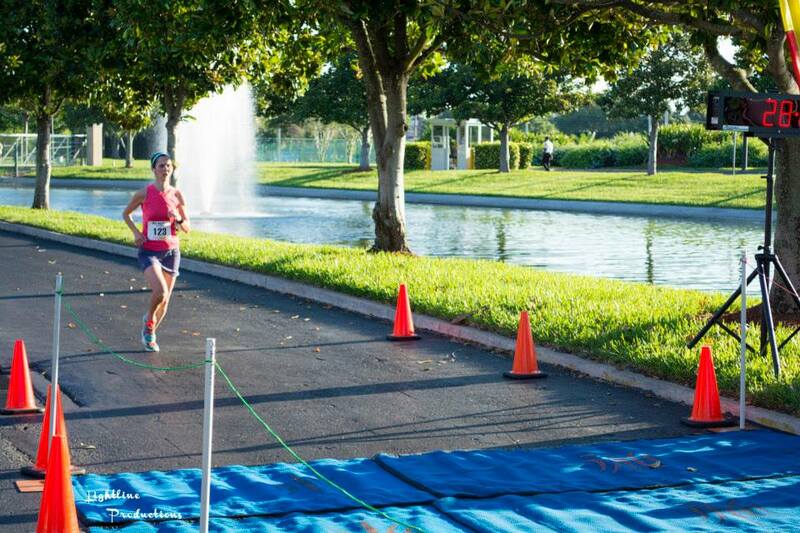 Race Course: The 10K course began on the Ceridian campus. 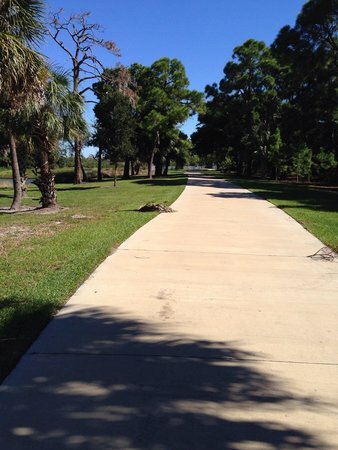 Runners followed the Skyway Trail on an out and back run through Clam Bayou Nature Preserve. ​Racers then followed the Skyway Trail south along 37th Street to 53rd Avenue S. to a turnaround. The course finished 2 miles later with a return to the Ceridian campus. Friendly volunteers and police officers kept runners on course, and directed traffic. Race Results: Results were posted online at CoolRunning.com Saturday morning. Aid Stations: Yes. Two water stations for the 5K, and four for the 10K. I didn't notice port-o-lets this year. That's because I knew about the permanent office bathrooms available to runners. It's really nice when you can choose an indoor bathroom with lighting and sinks rather than a port-o-let. Parking: Parking was FREE in the Ceridian parking lot on race morning. Be sure you arrive before the races start or you won't be able to enter the lot. SWAG (Stuff we all get): V-neck sleeveless tech shirt in very nice light weight material. 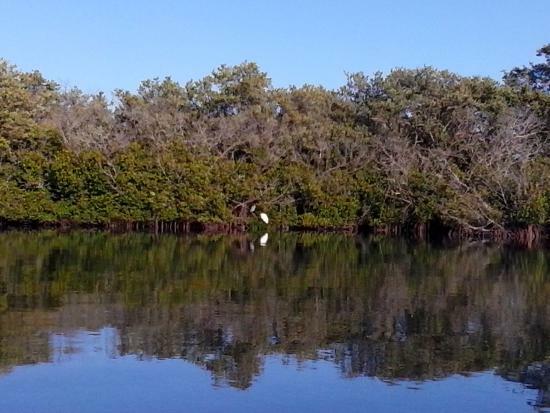 Happy Surprise: During the first half of the race I saw an Osprey and several dolphins in Clam Bayou. Nice scenery for a race! Post Race Festivities: This year the post race vendors and festivities were staged in the Ceridian courtyard around the fountain. The courtyard had a huge fountain and shady spots. It offered lots of seating and cooler temps than the setup in the parking lot last year. I couldn't stay for the post race festivities, but I did pass a few sponsor tables with snacks and information on my way out. 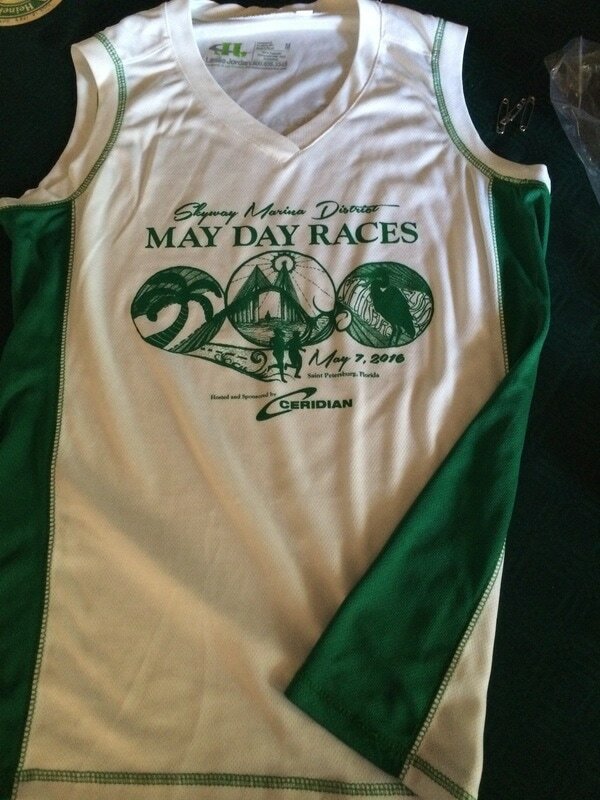 Photos: A link to the photos was available on Facebook about a week after the race. The race photos were nice, but random. If you were lucky there was a finish line photo of you. Awards: Prizes for age group winners were a charm and sports towel. The overall male and female winners were crowned May Day King and Queen. at the start, and 69º at the finish. No humidity made it perfect weather. 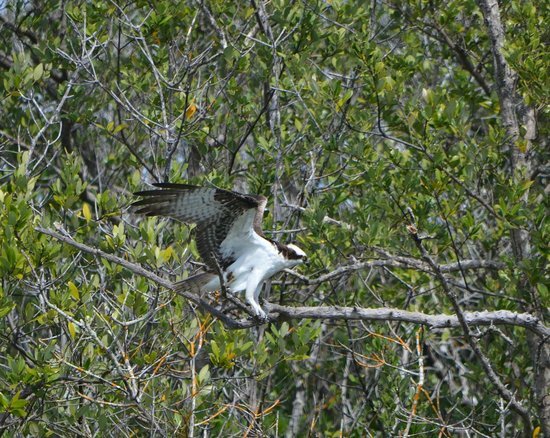 Keep an eye out for Osprey while running through Clam Bayou Nature Park. There were several dolphins swimming in the bayou when we ran past it. The course is all on paved trails. This trail is in Clam Bayou Nature Park.. I am a big fan of this race course. The route through Clam Bayou was excellent. I saw Osprey and Dolphins while running! ​There is a nice mix of sun and shade in the nature preserve. This time of year it gets hot early, but this year the weather was cooler and less humid than expected. 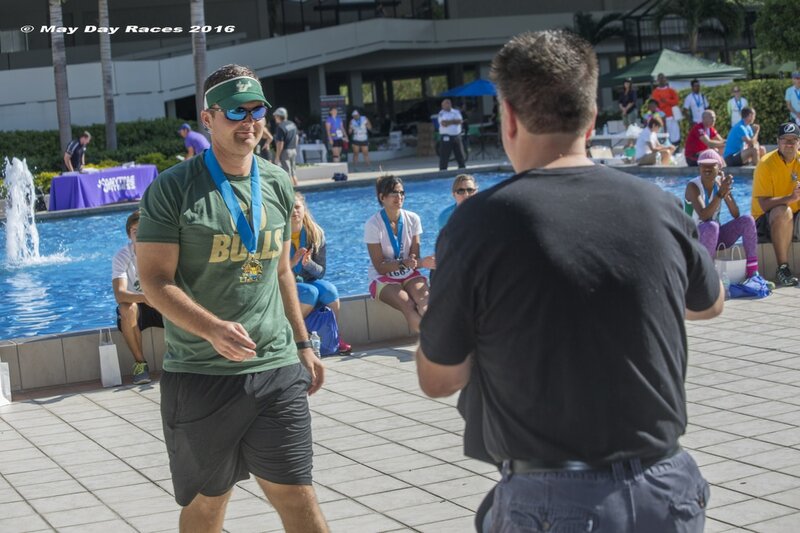 ​My goal for this race was to maintain a consistent pace, and I did. I'm doing a better job of fueling before and during my races, and it definitely helps! Moving the pre- and post-race festivities to the interior courtyard was a huge improvement over the sunny parking lot the previous year. I couldn't stay long after the race, so I can't speak to food and festivities. This is a fun, flat and fast late season race on an enjoyable course. I'll keep running and recommending it.